It is very important to maintain and replace your hood filters on a regular basis. 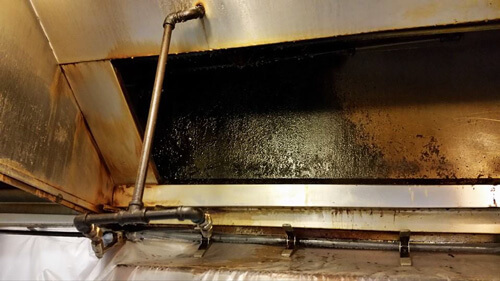 Hood filters or grease baffle filters are specially designed to remove the grease vapors from the air before they get into the exhaust hood ducts. 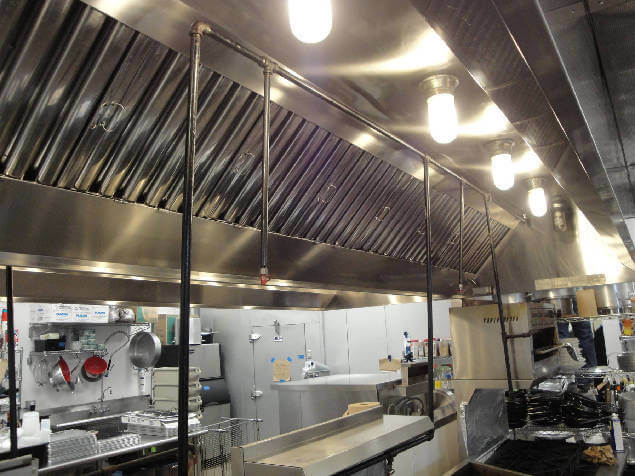 By properly maintaining exhaust hood system filters, you are maintaining an important line of defense against fire in your restaurant or commercial kitchen. Count on BEST HOOD CLEANING for all of your hood filters services in Sacramento, California. SO WHAT IS A HOOD FILTER, ANYWAY? AND WHY IS IT SO IMPORTANT? It’s a metal square (or rectangle) insert that fits into the opening of the ventilation system. The purpose of a hood filter is to filter out grease from smoke. If, say, your hood filter were non-existent or overdue for a change, you would have yourself a high risk fire situation. Best practices recommend to clean your hood filters daily. 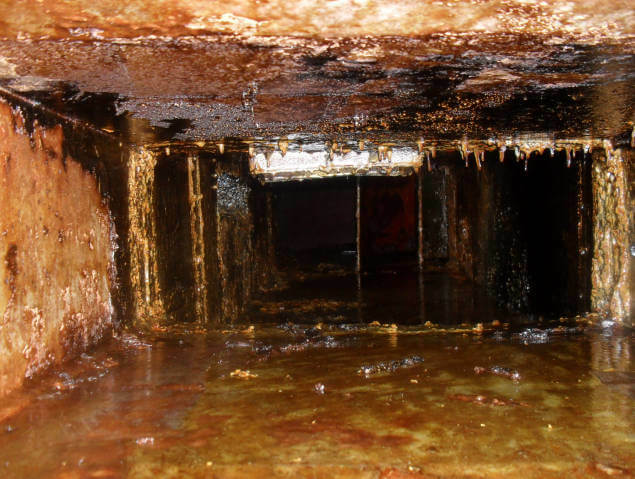 This will prevent grease build up and maximize their filtering capability. A filter that is already dirty cannot filter out more junk, it will only clog up the filter. BEST HOOD CLEANING recommends cleaning your hood filters in the dishwasher. However, if you have aluminum filters, or galvanized hood filters, we wouldn’t recommend cleaning them in the dishwasher because this will result in damage. If you can’t put them in the dishwasher, well you know what that means. Wash by hand, of course. We know, it’s no fun. However, it’s probably more fun than having to run your customers out because of a fire, or a board of health inspector shutting the place down. Don’t ignore the obvious signs. You should always be very attentive to your hood system and the hood system filter. Check it out on a regular basis. Does it look okay? Does it sound okay? Watch out for dented and/or corroded hood filters. If your hood filter is giving you some serious push back when you’re trying to clean it, it may be time to call a professional hood filter service company. If you’ve been in the commercial food industry for while, all this probably comes as no surprise to you. Maybe you’re just looking for somebody to help you out. Well, er, that’s us! So let’s get busy. Call us at 916-347-5300. BEST HOOD CLEANING can offer filters to our clients at our cost. Our technicians will be glad to measure, deliver and install the new hood filters or new grease baffle filters. We have a variety of types of hood filters that we can offer for your system. It is strongly recommended to use stainless steel filters. We carry filters to fit the brands of commercial hoods and we can offer them to you at a great price. Hey, we’re in this business because we love it, and we love to watch restaurant businesses thrive with our help. Always remember that we can do many other things besides order hood filters and replace them for you. BEST HOOD CLEANING can address all of your commercial kitchen cleaning needs. We can perform a full inspection from the cook-top to the roof-top. Our team can also educate you on potential hazards, as well as clean everything so that it’s like new. We have the latest, innovative cleaning technologies that we can apply to your system. We have pressure washers and steam cleaners that will allow us to OUTSHINE any competition, any day. When that nerve-wracking inspector comes through, they will be thoroughly impressed with your clean kitchen and well maintained equipment. Call us so that we can determine a proper cleaning schedule for business. We are looking forward to it! Call us at 916-347-5300. BEST HOOD CLEANING proudly services Sacramento for hood filters services and is fully insured, bonded, certified and licensed.